I freaking loved Iron Man. Looooved it. Loved it so much I saw it twice and now own it on Blu-Ray and watch it about once a month. It’s a great film, and John Favreau did a great job of helming a possibly career-sinking film1Just ask Bryan Singer of Superman Returns fame.. It’s cool and smart and confident and funny and smart and Robert Downey Jr., who a few years ago I would have written off as Cory Haim-in-the-present material, soars as Tony Stark. And having anybody else play Stark 2Nicholas Cage and Tom Cruise were interested in playing Stark. would have been weird in hindsight. And I really love that movie. I truly do. And now Iron Man 2 is coming up this Friday. And I couldn’t be more nervous about it. I’m worried it’s just gonna be terrible. I think my reasoning is that the first time around there wasn’t so much focus on who the bad guys are, and I think that the people playing the bad guys are bad choices. The Batman franchise started to die when the films focused more on the bad guys than on Batman. Mickey Rourke? Really? He looks terrible. And silly. And Scarlett Johansson? Man, she’s so one-note actress (like Natalie Portman) it’s not even funny. Maybe it’s the product tie-ins (I’ve seen about 25 in the past couple of days) or the bad guys in the movie. I don’t know. Just have a strange feeling about this one. Maybe it’ll be different once I see it, and I’ll see it, but we’ll see. UPDATE – The reviews are in and they aren’t that great. Compared to the 92% that the first Iron Man film got among the top critics on RT, IM2 has gotten a rousing 66%. One of my favorite authors, Cory Doctorow tweeted “Iron Man 2: the stupid, it burns. Wait for DVD, watch in Italian, pretend it’s opera.” I kinda feel bad for John Favreau, who’s a great director, but I’m sure he’s laughing all the way to the bank since IM2 brought in, in the opening weekend, $128,122,480. Typical Hollywood. We’ll see, after word of mouth, what the dropoff will be. 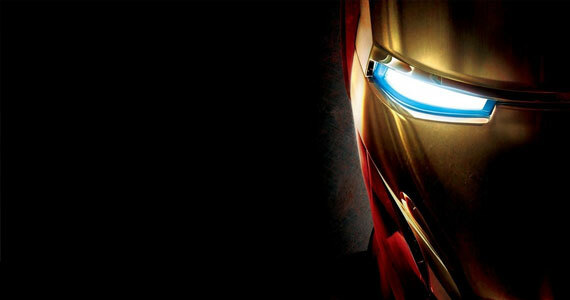 Share the post "Getting a Little Nervous About Iron Man 2…."